Hit farther with Cobra’s King Oversized Graphite Iron Set. The oversized head produces powerful ball speed for explosive distance. Since the head is larger, the SweetZone has increased too, to provide the ultimate in forgiveness. The center of gravity is lower in the iron set to improve launch by adding a tungsten toe-weight. Faster ball speeds are created from the weight saving from the thinner and stronger face. To maximum power where you need it most, weight from the center of the club head has also been removed and repositioned around the perimeter of the face. By hollowing out the club head, it now produces a confident sound to indicate a solid hit. 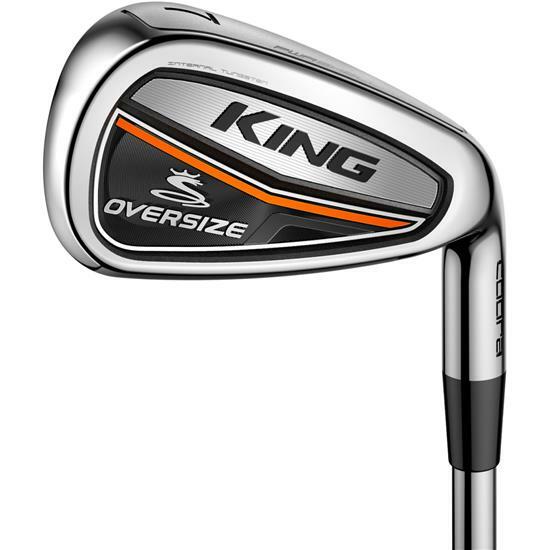 You are about to post a review for Cobra King Oversize Graphite Iron Set based on your knowledge of its playability. This review will show up under all variations of Cobra King Oversize Graphite Iron Set, including new, personalized, and custom logo.